Pradhan Mantri Jan Dhan Yojna (PMJDY) announced by the Prime Minister Narendra Modi from ramparts of the Red Fort on 15 August, 2014 was by all measure the most ambitious financial scheme launched post Independence. Goalpost set up by the Prime Minister was simple: bring the entire unbanked population under formal banking net by opening at least one bank account for each household in the country. The initial target of opening 7.5 crore new accounts through regular brick-and-mortar branches was met before the deadline. In January 2015, in less than five months, 11.5 crore accounts were opened under Jan Dhan Yojana. The figures fetched the government Guinness Book of World Records entry for opening the maximum number of bank accounts in the shortest possible time. But along with this motivating figure, serious concerns were also raised over the non-operational or zero balance accounts. Out of the total 11.5 crore accounts opened only 28 percent were operational. At that time Finance Minister Arun Jaitley, while speaking on the issue of zero-balance accounts, had said that direct benefit transfer would ensure that non-operational accounts will be made opeartive in coming times. That happened to a great extent. Although several accounts were made operational, the usage of core banking services were not instilled to a major extent among the people at large. As of now under the scheme 25.98 crore accounts were opened till 14 December. According to official statistics 100 percent household coverage in majority of the states have been achieved. Now consider this: According to an official data 23.22 percent of the accounts are still having zero balance. The problem with these large number of zero-balance accounts was mainly due to lack of constructive communication among bankers and its new clients. As stated by the vision document of the PMJDY the plan envisaged “universal access to banking facilities with at least one basic banking account for every household, financial literacy, access to credit, insurance and pension facility. In addition, the beneficiaries would get RuPay Debit card having inbuilt accident insurance cover of Rs 1 lakh”. Another additional feature in the scheme was Rs 5,000 overdraft facility for Aadhar-linked accounts. 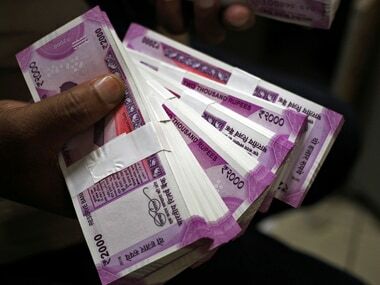 The reason for the persisting existence of the zero-balance accounts is simple: people still lacked banking habits and the government and bankers to a greater extent stressed on additional benefits PMJDY provided in the form of accident insurance cover of Rs 1 lakh and Rs 5,000 overdraft facility. Talking to host of beneficiaries it became evident that in most of the cases they opened the bank account with an intention of getting additional benefits. Benefits being part of the formal banking structure was hardly a motivation in most of the cases. And to the greater extent it was in the manner in which bankers choose to motivate people for opening the bank accounts. In the post-demonetisation period the same lack of communication and miscommunication is creating confusion among people. And it is being accentuated by the repeated change in rules regarding deposit and withdrawal of the demonetised currency notes. Reserve Bank of India (RBI) in a circular on 19 December said in the remaining days of this month, one can make deposits in Rs 500 and Rs 1,000 notes in excess of Rs 5,000 only once per account and if anybody wants to deposit cash in the banned currency in excess of that amount, he will have to explain in the presence of at least two officers on why didn't he do it earlier. 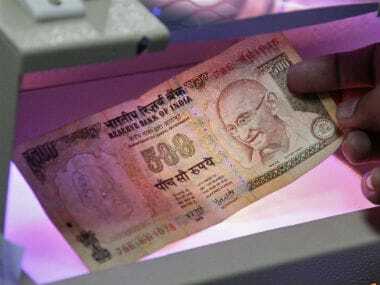 Even if the deposits are made in small amounts multiple times, and add up to the magic number of Rs 5,000, the person stands exposed to questions. A day after the RBI circular, Finance Minister Arun Jaitley clarified that no questions will be asked if any amount of old currency is deposited in one go, but repeated deposits may provoke queries. The Business Standard report quoted Jaitley saying, “If they go and deposit with bank any amount of currency no questions are going to be asked to them and therefore the 5,000 rupee limit does not apply to them if they go and deposit it once. But if they are going to go everyday and deposit some currency, same person, that gives rise to suspicion that where is he acquiring this currency from. In that event a person may have something to worry about. Therefore everyone is advised whatever old currency you have please go and deposit it now”. Since the demonetisation banks across the country are defying the orders issued by the RBI. 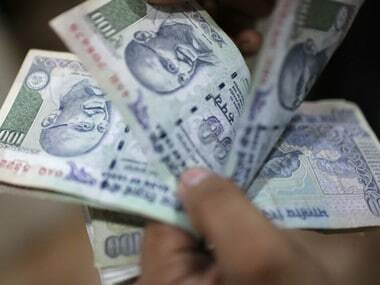 In many smaller towns and cities, banks were seen categorically rejecting the cheques even with the permissible Rs 24,000 withdrawal amount. Arbitrary rationing was a common place in banks. The exception that Rs 2.5 lakh could be withdrawn by the families organising a wedding, was in many cases not honoured by the banks. 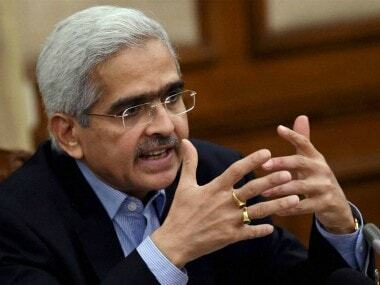 While the launch and successful meeting of set targets under PMJDY was commendable, mistaking it for a resilient and robust banking system was a fallacy that lays exposed in the current demonetisation process. In PMJDY the opening of crore accounts was made possible because largely people saw it as a dole out, where they did not have to incur any expenses. The fact that business correspondents (BC) and bank branches through camps and awareness drive reached out to people in large number that helped PMJDY achieve its target. But then the lack of communication between the bankers and their new found clients rendered the entire exercise futile to a greater extent as majority of the people were not using their accounts as reflected in the large number of zero-balance accounts. For any financial decision to succeed it is required that people understand its intent and its procedural implementation. In the current demonetisation drive while the intent is clear to any objective observer, it is its implementation that is creating confusion which in turn is getting accentuated due to lack of communication between bankers and its clients. Communicating in clear terms is the only way that post-demonetisation confusion can be tackled. Any miscommunication fails the very purpose of the most well-intentioned move as implementation of PMJDY proves.